The president of Total Life Counseling Center shares his expert tips for making the morning school routine go more smoothly. A professional coach shares top skills you can implement to help build an emotional connection with your child. Excellent advice from an ESE middle school teacher on the best ways to prepare your child for the new school year. 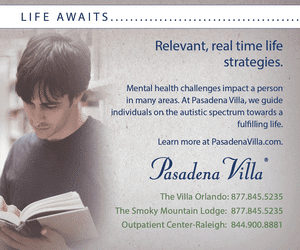 Excellent medical and behavioral options for dealing with toe walking and autism. The founder of SAI Connections shares the marked distinction between conversation and communication with children on the spectrum. 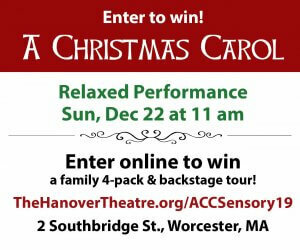 Straightforward solutions for lessening day-to-day stress levels provided by the mom of two boys with Asperger’s syndrome and a daughter with mild cerebral palsy. 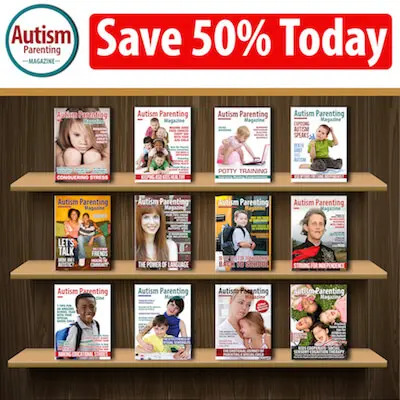 Learn about educational resources designed to help struggling parents, teachers, and schools educate children with autism. Top-notch advice on ways to help your child on the spectrum conquer common sleep issues. Meet Marissa Hacker, a college student with a twin with autism who started a social group for special needs individuals that helps teach social skills and build relationships. An occupational therapist, autism consultant, and author of several books explains interoception and its connection to autism. A mother reveals the loving relationship between her daughter with autism and her ctwin that teaches their family lessons daily. Learn from a special education teacher about specialists who can support students with special needs through collaboration, consultative, or direct services. Suggestions on ways to better understand a maturing child with autism and make positive change. 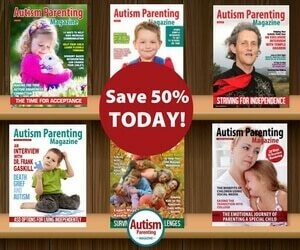 Learn about the new partnership between Autism Parenting Magazine and the American Autism Association in an effort to raise autism awareness and spread acceptance. A registered nurse who has dedicated her life to working with children with disabilities shares her thoughts on the rewards of loving a child with autism. The mother of a young man on the spectrum describes her journey to create a life for her son after graduation and how it evolved into a autism-focused chocolate business and café. Take a look at an excerpt from a very special memoir detailing life growing up on the autism spectrum. 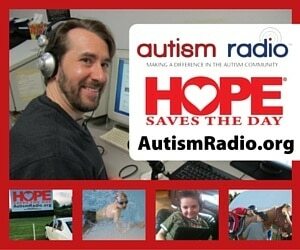 Listen to a recent radio show with host Paul Cimins and co-host Lynne Glucoft as they discuss the advantages of physical exercise for individuals with autism. A special page for poets to share their expressive works. Learn some tips on improving mindfulness, from creating a calm zone to performing helpful breathing exercises. Expert advice on ways to make a trip to the doctor, dentist, lab, or other medical appointments easier for both parents and children. Terrific tips to help you develop a great relationship with your child’s teacher – one that is mutually beneficial, but more importantly, leads to better outcomes for your child. Expert advice on both the benefits and drawbacks of setting up an ABLE Account for your child with special needs. Learn to make these nutritious gluten-free wraps with a unique Asian and Mexican-inspired flair. Our culture consistently tells us change is good…that it’s an inevitable part of life. True, transitions are necessary for continued growth and development — but what happens when the very thought of change causes high levels of anxiety and affects behavior? As we all know, transitioning can often be complex for children with autism spectrum disorder (ASD). So, how can you assist your child in transitioning from the relaxed days of summer to the hustle and bustle of a new classroom, teacher, and friends? How can you prepare your child for a new daily routine without confusion and stress? Knowing the back-to-school season can be extra-challenging for families affected by autism, we reached out to several experts for professional advice. First, we connected with Tracy Oxley, a middle school teacher who works with children with special needs every day. Understanding how difficult change can be for children with autism, Tracy has provided us with the piece called Sure Fire Ways to Combat Back-to-School Anxiety with Autism. Please take a look as she provides thoughtful tips on ways to alleviate stress and anxiety for both parents and children. We also reached out to Jim West, president of Total Life Counseling, who specializes in attention deficit/ hyperactivity disorder (ADD/ADHD) and individuals with autism spectrum disorder. He has provided a piece for us called Using Simple Rewards to Get Your Child with Autism to School on Time!, which includes his expert tips for making the morning routine go more smoothly using a reward system. Another important component in making a positive back-to-school transition is a healthy relationship with your child’s school. We invite you to read Board Certified Behavior Analyst and Autism Parenting Magazine columnist Sarah Kupferschmidt’s piece How to Improve Communication with Your Child’s Teacher, as she shares ways to connect with your child’s teacher to ensure good communication and an easy transition. Finding the right learning services for your child with autism is vital for the long-term. Please take a look at Angela Shaw’s piece called How to Find the Best Educational Services for Your Child with ASD. A special educator within Snowline Joint Unified School District in California, Angela thoroughly describes the support often available through collaboration, consultative, or direct services. Since we are focusing this month on making smooth transitions, we thought it was important to include other possible challenges, such as taking your child to medical appointments. Do you find it nearly impossible to sit in a waiting room for a medical provider who is running behind schedule? Please take a look at the article called How to Make Medical Visits Easier for Your Child with Autism, written by Jamie E. Carter, Ph.D. and Ahna I. O’Shaughnessy, M.A.. We hope their professional advice will make your next trip to the doctor, dentist, or lab easier for both you and your child. Another hot topic with kids is bedtime — especially when the family is pressed to get up and go the next day. For excellent ideas on ways to help your child with autism conquer common sleep issues, take a look at Jen Jones’ article called Valuable Tips for Resolving Sleep Issues with Autism Now. From using deep pressure to a picture schedule, Jen’s piece has great tips for everyone. This month’s issue is packed with plenty of educational and parental guidance. 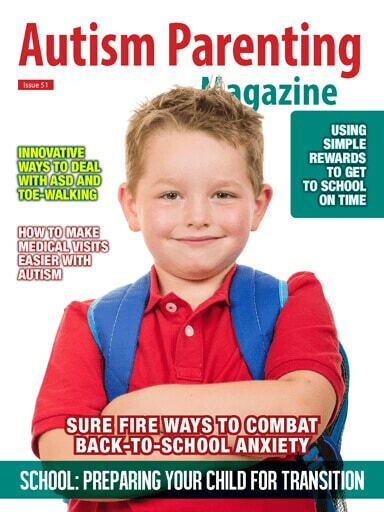 With advice on how to deal with toe walking, how to encourage mindfulness, and how to emotionally connect with your child, there are articles for everyone. And for parents in need of a little extra care, take a look at the inspirational piece on ways to revitalize your daily life . Wishing our families a safe and happy transition into the new school year.